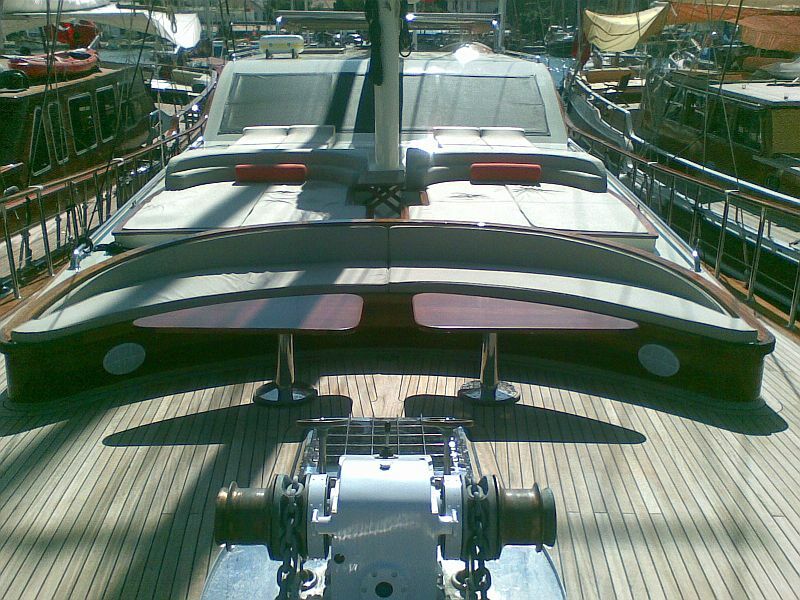 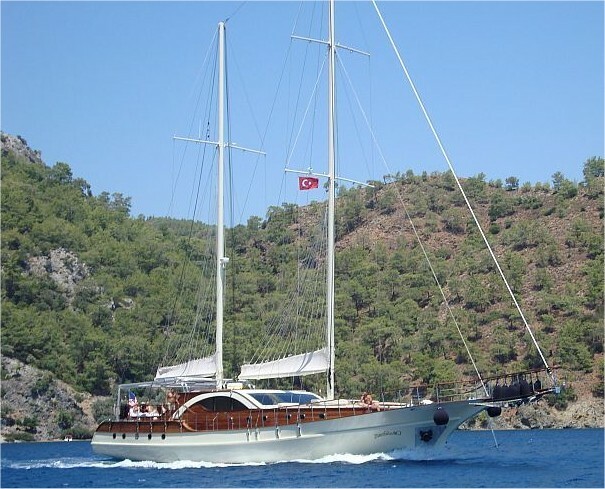 29 meters vip Gulet Justiniano was built and launched in 2008. 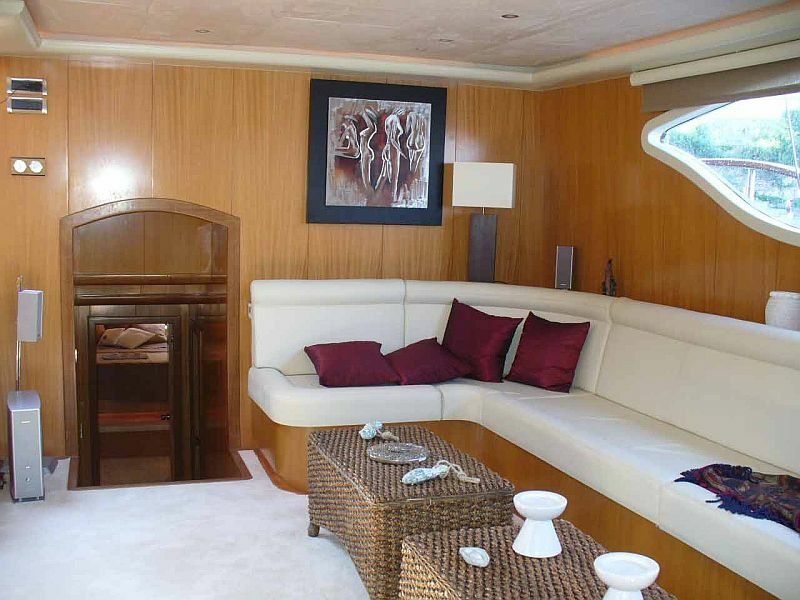 Luxurious sailing yacht Justiniano features stylish interior design of white leather furnishings, light brown wood panels, comfortable seating and formal dining allow the open plan salon functional. 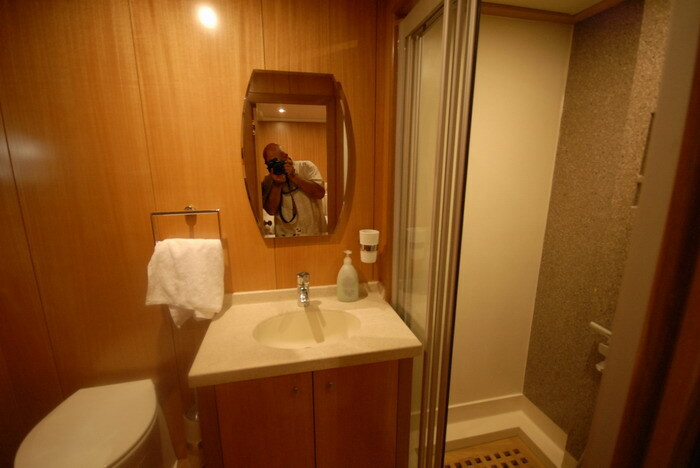 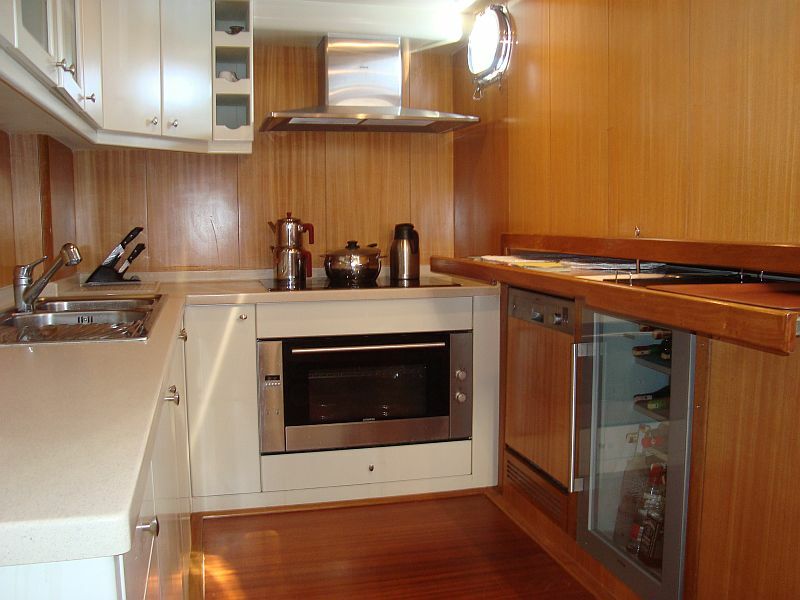 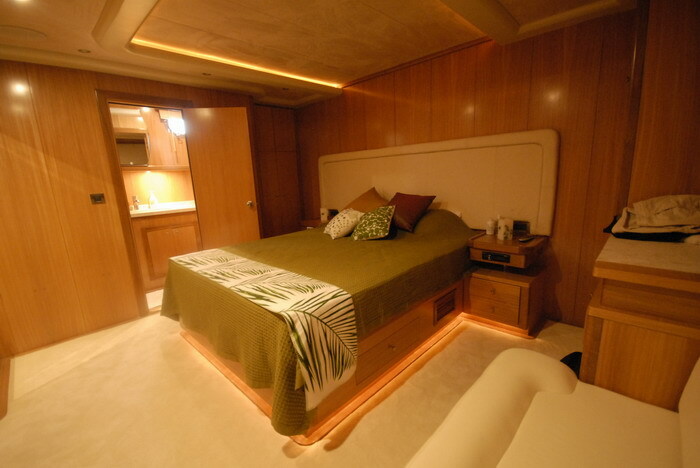 Below decks, fore and aft are 4 guest cabins, each with private en-suite facilities. 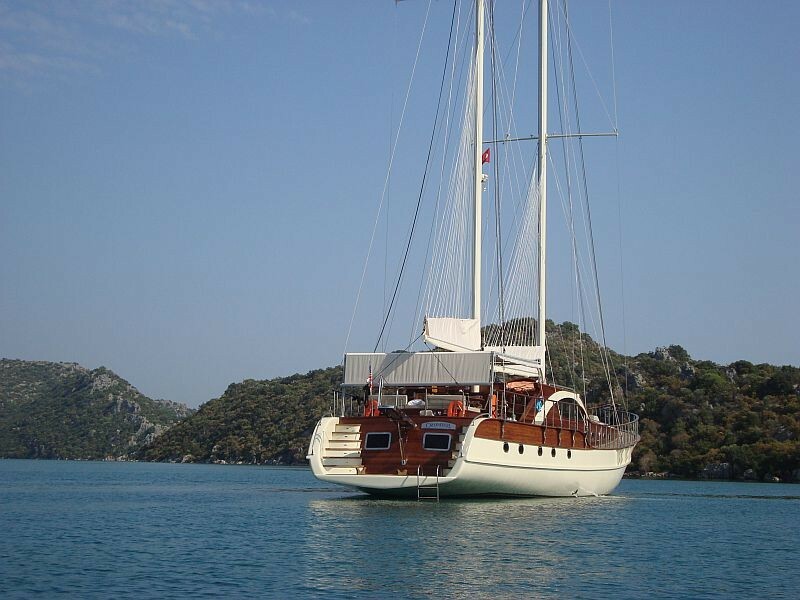 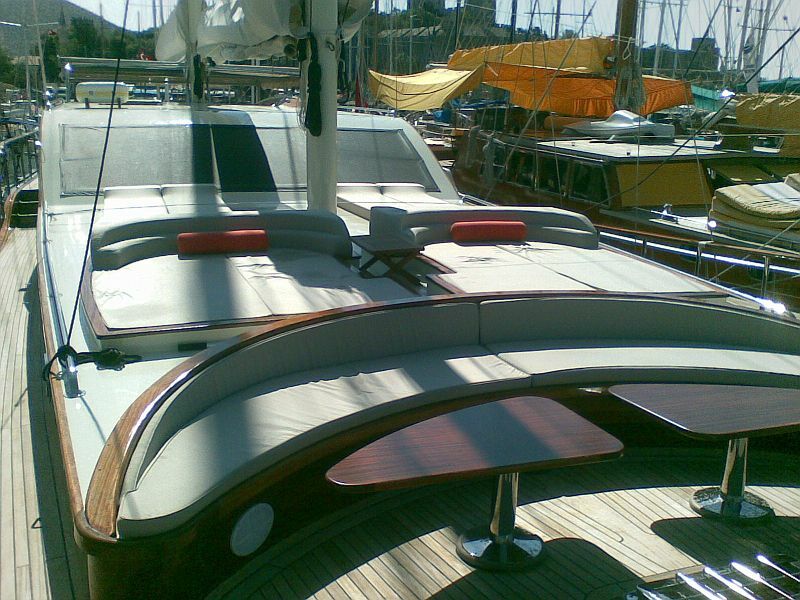 Gulet boat Justiniano offers accommodation for up to 8 guests. 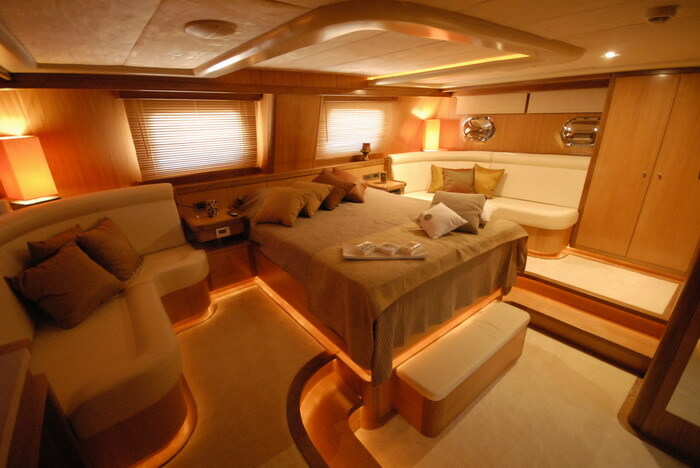 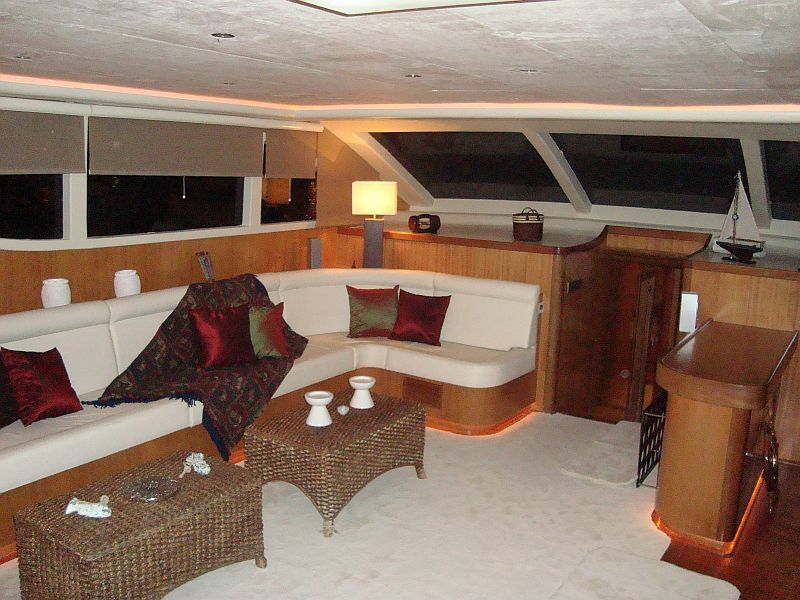 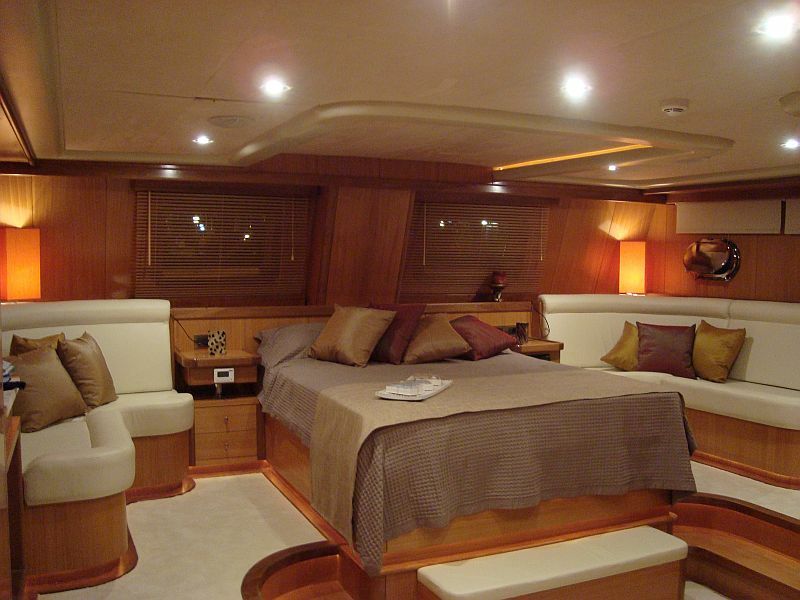 Aft of the salon is the full beam master suite, complete with a king size bed and 2 sofas. 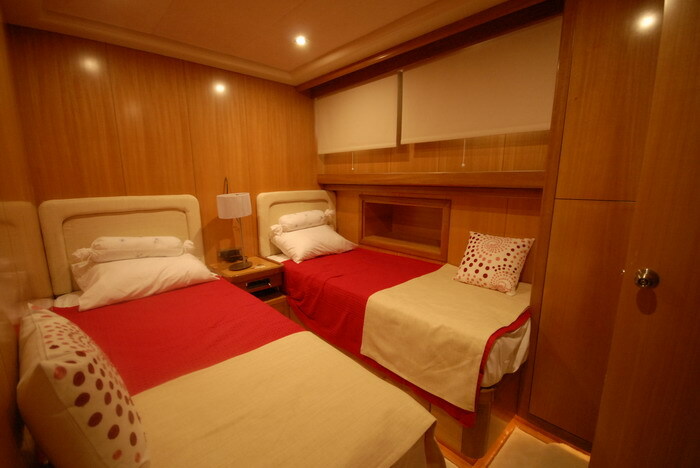 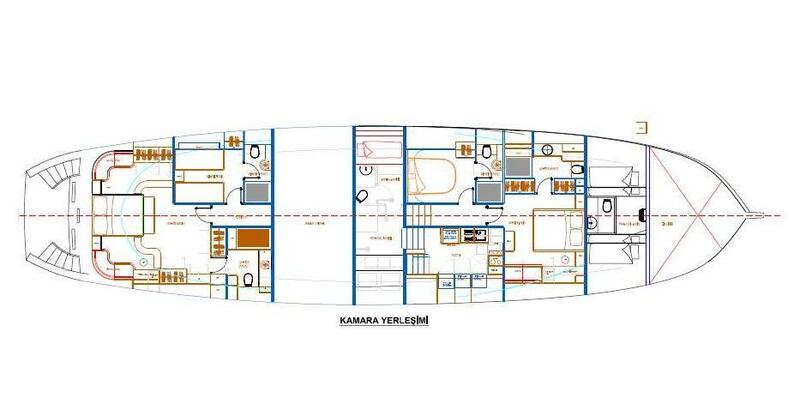 A guest cabin is to port with side by side twin beds, forward of the salon is the full beam vip cabin, with a big size bed and sofa, on the port side there is a double cabin, with double bed. 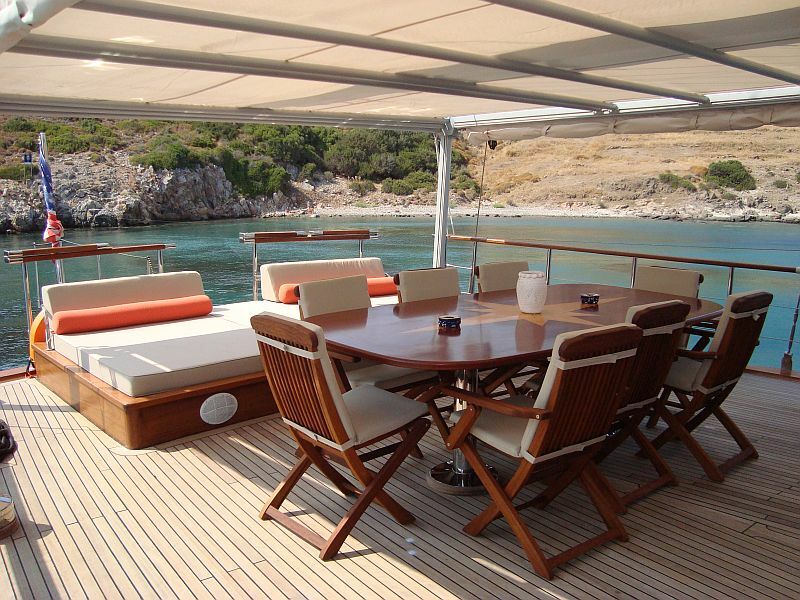 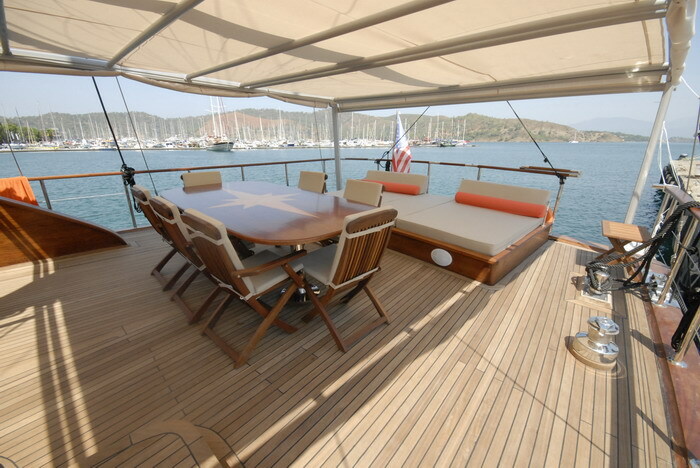 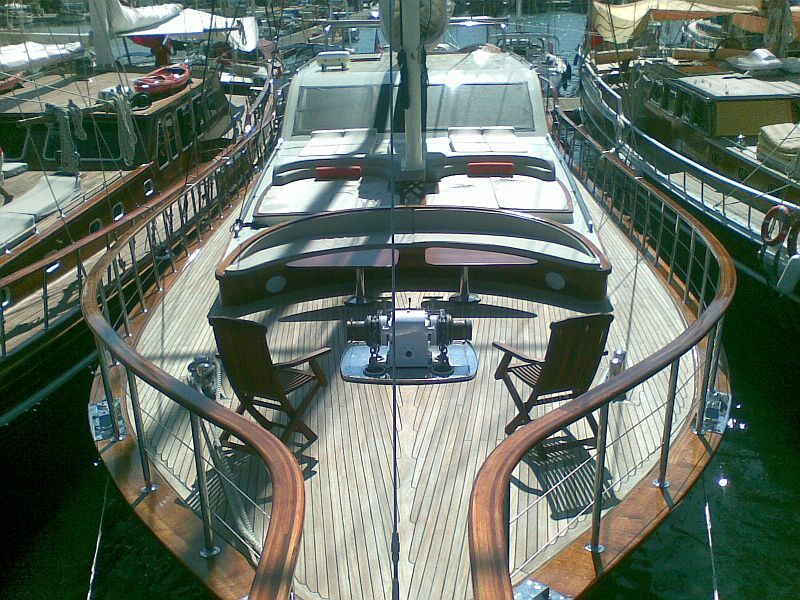 Gulet Justiniano has comfortable deck areas for guests on board, swimming platform at back allowing easy access to the sea. 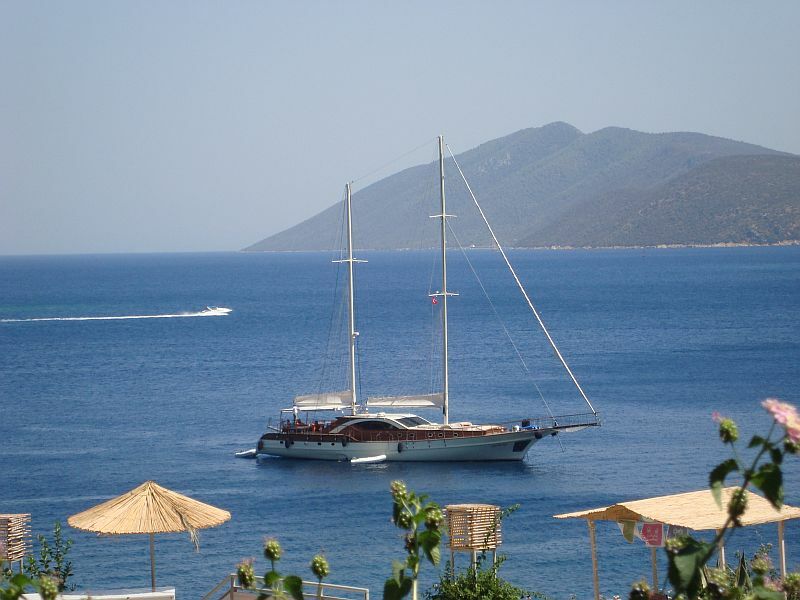 Charter Gulet Yacht Justiniano in Turkey and Greek islands with good early booking discounts or last minute deals, get your free charter quote with the best charter price.